With the redistricting battle headed to resolution, another controversy could await lawmakers next week. After months of wrangling with the Department of Justice, a decision on the voter ID law could come as soon as Monday. With a primary election date set, maps drawn and the candidate filing period coming to an end Friday, attention is likely to shift to another volatile and partisan issue: voter ID. 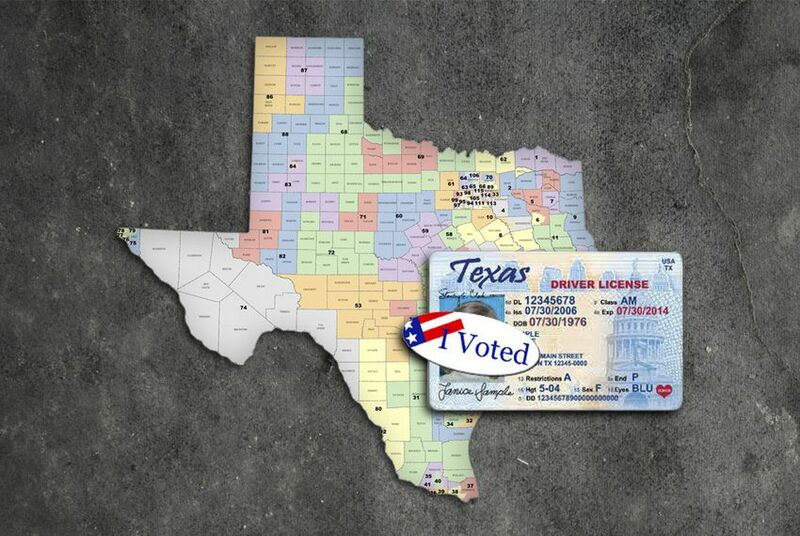 Monday could finally be the day Texas lawmakers learn whether the state can implement a controversial measure requiring voters to present photo identification in time for the May 29 primary election. It has been eight months since the state's first attempt to get approval of the measure from the U.S. Department of Justice. The law, Senate Bill 14 by Sen. Troy Fraser, R-Horseshoe Bay, was one of Gov. Rick Perry’s “emergency items” during the 82nd Legislature. It passed easily in the Republican-dominated legislature, and was one of the first to hit Perry’s desk last year. The state submitted its original preclearance request in July, and the department should have decided 60 days later. But the department told the state in September that Texas did not provide enough information. It wanted to know the racial composition of registered Texas voters. It also wanted to know where the estimated 605,500 voters without state-issued photo ID live and how many of those without ID have Hispanic surnames. And the department requested the same information for registered voters who have valid IDs. In October, the state responded, saying it does not ask about voters' race when they register. Instead, the Texas secretary of state submitted a list of all the Hispanic surnames in Texas, as recorded by the U.S. Census Bureau. The state also offered to run that list against the list of registered voters to determine how many have Hispanic names, and it offered to use data from the Department of Public Safety, which issues driver's licenses, to assist in compiling the information. But the state warned that the results would be skewed because DPS didn’t include a specific category for Hispanic drivers until 2009. That still wasn’t what the Justice Department wanted. In a letter dated Nov. 16, the department indicated that although the state offered to expedite the process, the Department of Justice’s patience was waning. The state submitted more information in January, and the department started over its 60-day timeline. This time, though, the department hasn’t requested additional information. Part of the voter ID law requires the state to educate voters about the new requirements, and Parsons said the office could do that in time for the May primary. If the preclearance request is denied, though, the state is pursuing another option. The Texas attorney general’s office sued in January, arguing that the voter ID bill should be immediately implemented. Efforts to block the measure are an affront to Texas sovereignty and its ability to protect its voting process, Attorney General Greg Abbott argued. The Justice Department’s deadline to respond to the state’s lawsuit is April 9.